International flights are not included in the prices shown for our Canada holidays, including wildlife tours, escorted tours, self-drive tours or Arctic voyages around Canada. This is because many of our clients prefer to choose their own flight route to include a stopover on the way, or to extend their stay in Canada. The most commonly-used airlines to Canada are Air Canada, British Airways and Icelandair. Our Travel specialists are on hand to advise you of your flight options and put together the best itinerary and airfares to suit your needs. Icelandair offer a number of flights via Keflavik to North America, providing the perfect excuse for an Icelandic stopover en route! And there is no additional charge to break your journey in Iceland. save money on your international flights – Airport Departure Tax will be charged at the European level, rather than North American, saving over £50 per person for economy class flights and over £100 for business class. save time on an Icelandair flight to Anchorage – flight time from Reykjavik is just 7 hours, making this route one of the quickest and most affordable ways to reach Alaska from the UK. break your journey free of charge – airfares from the UK to North America permit a stop of up to 7 nights in Iceland at no additional flight charge. regional UK departures are available from London Gatwick, London Heathrow, Manchester and Glasgow, all direct to Keflavik. North American gateways include Anchorage, Vancouver, Edmonton and Halifax during the summer, with flights to Toronto operating year round. 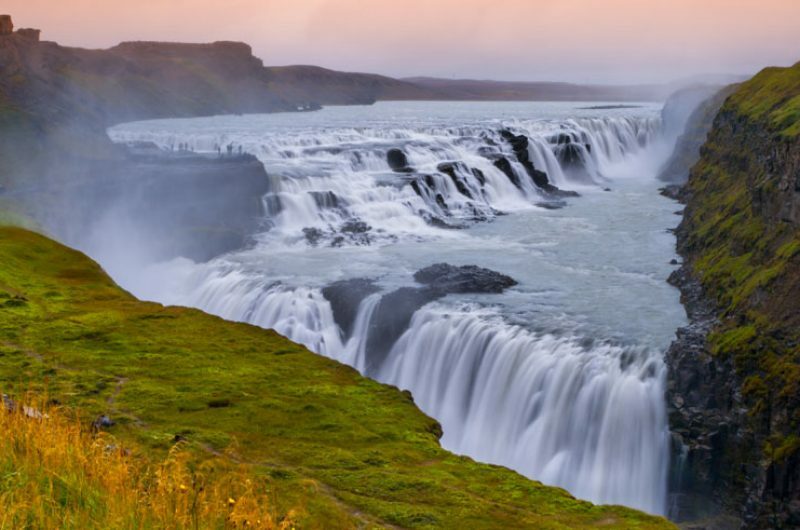 We are the world’s largest travel specialist to Iceland and we would be delighted to tailor a short or longer visit just for you. 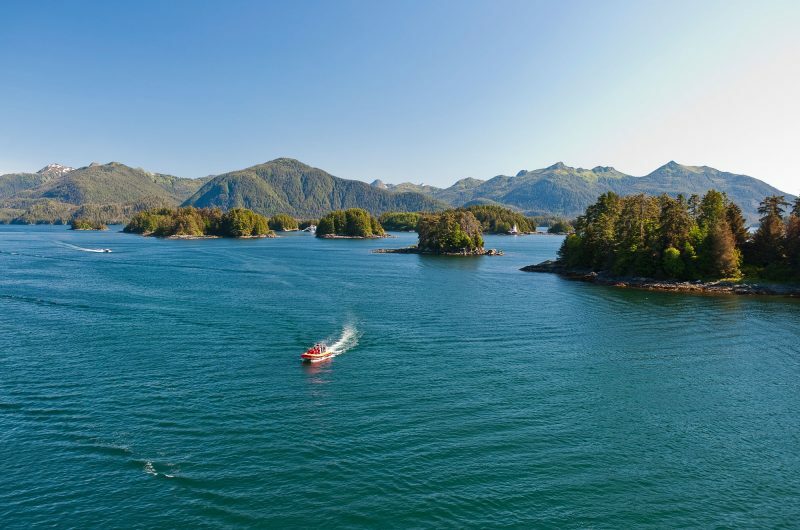 Across the border Alaska is easily combined with a holiday to western Canada – enjoy a self-drive from the Yukon, cruise the Inside Passage from Vancouver or join a small group hiking adventure. We can tailor your arrangements both sides of the border, simply get in touch with our Travel Specialists. You have a great choice of airlines when it comes to travelling to Canada. From Canada’s largest full-service airline, Air Canada, to leading airline Icelandair, and with low cost airline carriers WestJet and Air Transat, travelling to Canada has never been as affordable. We can also offer flights with many other airlines including British Airways and WOW Air. Our specialist team are on hand to advise you of your flight options and put together the best itinerary and airfares to suit your needs. Air Canada is Canada’s largest full-service airline. Providing direct flight services from the following UK airports: London Heathrow, Manchester, Edinburgh and Glasgow to the following six gateway cities: Vancouver, Calgary, Toronto, Montreal, Halifax and St Johns. Air Canada has a fleet of Airbus A330, Boeing 767, Boeing 777, and Boeing 787 wide-body jetliners for long-haul routes. Economy class passengers enjoy the latest state of the art entertainment system, featuring enhanced definition intuitive touch-screen navigation, games, audio books and much more. A complimentary hot meal accompanied by a selection of wines and spirits, plus in-seat power for your laptop will keep you entertained throughout your flight. Economy class seat pitch ranges between 31-33”, depending on aircraft. Upgrade options are available. Fly to Canada with Icelandair, with routes to Edmonton, Halifax, Toronto, Montreal and Vancouver. Fly from London and Manchester via Reykjavik, Iceland. Connections are easy and well timed. Added bonus – stopover in Iceland for up to 7 nights at no additional airfare cost. Icelandair’s Economy Class service is for those passengers looking for quality at an affordable price, all with the superior customer service that Icelandair is known for. Online check-in is available in almost every gateway. Economy class passengers may check in 1 bag weighing 23kg. In flight, you’ll receive complimentary non-alcoholic beverages and free access to a personal in-flight entertainment system in the seat in front of you. A good selection of food and drinks is for sale (payable with credit or debit card only – cash is not accepted) and children will receive a complimentary warm meal. Upgrade options are available for Saga Class. Delivering low-cost scheduled flights between the UK and Canada, choose from the following UK airports: London Gatwick, Manchester, Birmingham and Glasgow, and fly to Vancouver, Toronto, Montreal, Quebec, and Calgary. Economy Class offers a warm welcome and personalised service, with ergonomic Italian-leather seats, a dedicated crew and an inflight entertainment system. Also included is complimentary checked-in baggage and hot meals accompanied by a selection of wines and spirits. Upgrade to Option Plus for more privileges and services in Economy Class including seat selection, priority check-in and extra baggage allowance, or upgrade to Club Class to travel in superior comfort. Providing safe and affordable air travel, WestJet has become one of Canada’s most admired and respected airlines. Fly from London Gatwick to Calgary, Edmonton, St Johns, Toronto, Vancouver, Winnipeg and Halifax or from Glasgow to Halifax. WestJet operates a modern fleet comprised of Boeing 767-300, and the Boeing Next-Generation 737-600, 737-700 and 737-800 aircraft. WestJet offer a “no frills”, friendly, customer-first service. The most basic fare, Econo, offers a standard economy seat (31-33”), baggage and advance seat selection is at an additional cost. Flex includes one checked-in bag and the option to select your seats in advance (at an additional cost). Plus offers more flexible fare, a seat with additional leg room (36-38”) and includes two checked in bags, advance seat selection, premium food and beverages and priority security screening. A low-fare, long-haul airline based in Iceland. For its flights to North America, the airline operates the Airbus A321. WOW fly from London and Edinburgh via Iceland to Montreal and Toronto. WOW Air is proud to operate the youngest fleet in Iceland with the lowest emission. WOW operates based on three fare levels – Basic, which is flight only and includes one personal carry on item, Plus which includes checked in baggage and Biz which includes travel in the most comfortable seats, plus additional services such as checked in baggage, free seat reservation, priority boarding and an in-flight meal. British Airways is a full service global airline, offering year-round fares all across Canada including Vancouver, Calgary, Toronto, Ottawa and Halifax. World Traveller is British Airway’s full-service economy class on flights to Canada, packed with all the comfort and benefits you expect from British Airways at an affordable price including great value all-inclusive fares, generous free baggage allowance, delicious meals and full bar service and a personal entertainment system with complimentary headphones. World Traveller Plus and Club World upgrades are available. Passports valid for at least 6 months must be produced on arrival by all visitors. Canada is implementing an Electronic Travel Authorisation (eTA) programme for visa-exempt countries, which include the United Kingdom. eTA is a new entry requirement for visa-exempt foreign nationals travelling to Canada by air. It will allow Canada to screen travellers before they arrive. The authorisation is electronically linked to your passport and is valid for five years or until your passport expires, whichever comes first. You will need to apply online, entering basic personal information including your name, passport number and email address, and answer a few simple questions about your trip. In most cases, the eTA will be granted within minutes of applying.